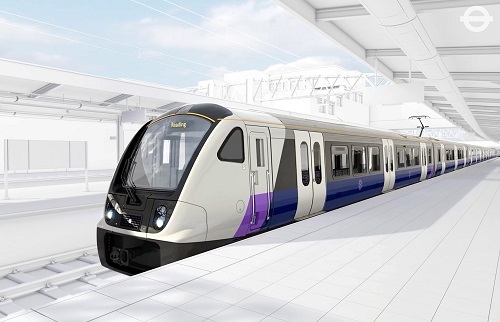 Transport for London (TfL) have revealed the design of the new, fully accessible Crossrail trains that are due to enter service from May 2017.When fully operational in 2019, Crossrail will add 10 per cent to London’s rail capacity and will carrying 200 million customers a year. The new trains are being built by Bombardier Transportation’s UK factory in Derby and are helping to support at least 760 UK jobs and 80 apprenticeships. 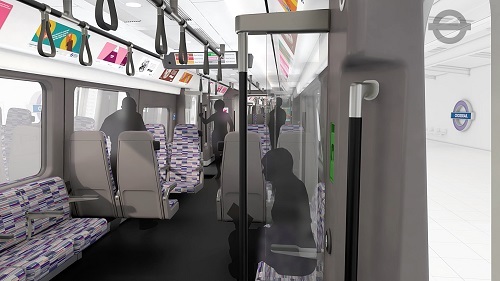 Each train will provide space for 1,500 customers in nine fully-interconnected, walk-through carriages. At over 200 metres in length, they are over one and a half times longer than the longest Tube train. 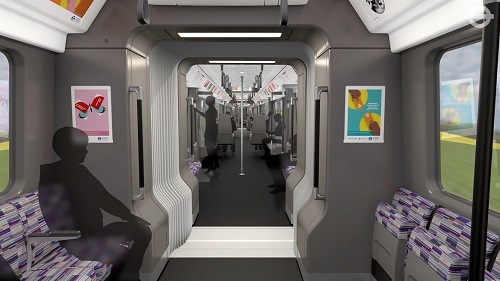 A mixture of metro-style and bay seating will be available through the train which will be driver-operated with on-train customer information systems delivering real-time travel information, allowing customers to plan their onward journeys whilst onboard. Free Wi-Fi will be available on the trains as well as on the platforms and people will have access to 4G. When fully operational in 2019, Crossrail trains will serve Reading and Heathrow in the west through to Shenfield and Abbey Wood in the east, passing through new tunnels under central London. By londonvisitors2014 in London Transport on November 20, 2015 .